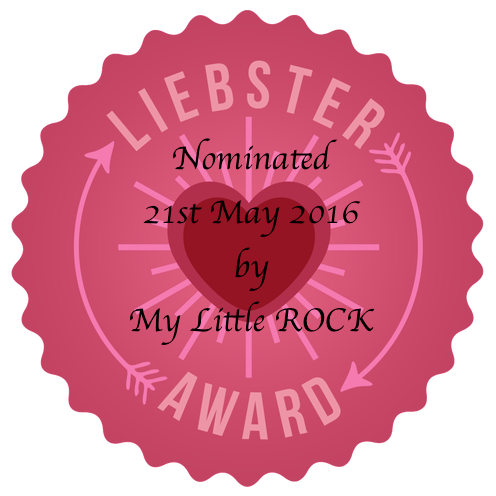 Thank you so much My Little ROCK – Reliable Organised Cooking Kitchen for nominating For Goodness Cake for Liebster Blog Award. This sounds like a great opportunity to share more cake recipes to everyone. So thanks My Little ROCK, I’ll take the opportunity to let some of my fellow food bloggers know that I think they do a great job. 2. You must nominate the same number of bloggers the nominator has nominated who you think deserve this award and link their blogs too. To the above nominees, below are my following questions. I hope you won’t find them annoying. How did you come up with the name of your blog and why? What is the worst disaster you encounter in baking/cooking? Which wine do you prefer to drink when eating your dessert? What is your favourite cooking show on TV? Do you like Chilli Chocolate and why? What is your favourite kitchen tool and why? Do you like planning a meal for the week or a weekend and why? For goodness sake is my favourite phrase when I get frustrated and baking relieves most of it. So I decided to call my blog For Goodness Cake. 3. What’s your go easy recipe for a quick and fast weeknight meal? Baked Salmon with Rice and vegetables. I started my food blog as I love to share the recipe that I used or found and also if I can alternate the recipe to make it better. It takes me a few days as I have a full time job too. In baking actually, my frosting went really thin and I can’t put anymore icing. The chef who inspires me the most is Éric Lanlard a French pâtissier and celebrity chef (cake boy). He makes cake with so much passion which encourage me to do the same. Thank you very much again for the nomination My Little ROCK. Congratulations on the nomination. It is nice to meet you. I look forward to meeting the bloggers you nominated.